Are you searching for the performance and inspired design of a new or preowned Cadillac CTS in the Oklahoma City or Edmond area? Come experience the luxurious ride of a Cadillac and the friendly service we offer at Vance GMC Cadillac Buick in Guthrie, Oklahoma. We may sound small town, but we have a big city inventory and a 30 year record of customer satisfaction—and we are a short drive from Edmond and Oklahoma City. 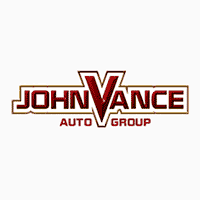 Vance Auto Group has been serving Oklahomans find the right vehicle for over thirty years—and we expect to be still doing it for another thirty. We have nine full service dealerships so that means a huge variety of used cars to choose from. If it is a brand new Cadillac CTS you want, our dealership in Guthrie can show you why customer satisfaction is always first priority with us. If you set your sights high on a Cadillac CTS, you will not be let down. Every single time you get behind the wheel, it will be an extraordinary experience. The Cadillac CTS is fine-tuned on Germany’s famed Nürburgring racetrack for a remarkable driving experience felt every moment behind the wheel. Feel the power of the engine, the sharp handling and luxurious interior for a uniquely American flavor. The CTS was designed with lean perfection in mind—from its carved inlaid hood to the signature headlamps all created with stylish aerodynamic perfection in mind. The interior is precision designed to offer a smooth thrilling ride from the ambient lighting to the concealed cup holders, leather seating, wood trim to the adaptive remote start that controls everything from a remote start to heating up the seats. The technology offers all you could want with the Cadillac User Experience that keeps you connected, entertained, safe and on the right road with all the latest apps and maps. Safety features include rear vision camera, surround vision, forward collision alert, lane change alert, lane keep assist and much more. Drive the short 10 minute drive north from Edmond and 30 minute drive north from downtown Oklahoma City on I-35 to Vance Auto in Guthrie. We will treat you like our neighbors and help you get in the new or pre-owned Cadillac CTS of your dreams.